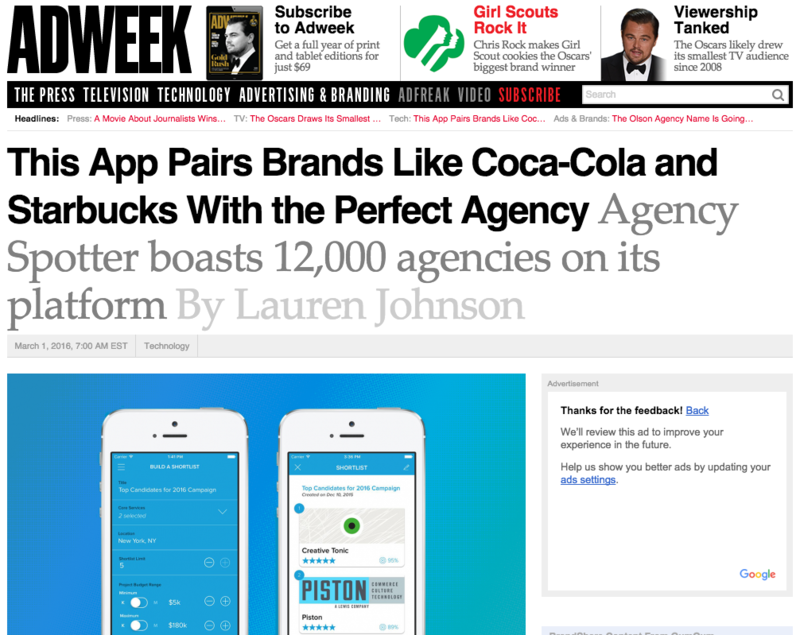 We’re honored to be featured on AdWeek’s home page as we launch the world’s first mobile app to tackle agency search, bringing more than 12,700 agencies to marketers everywhere. 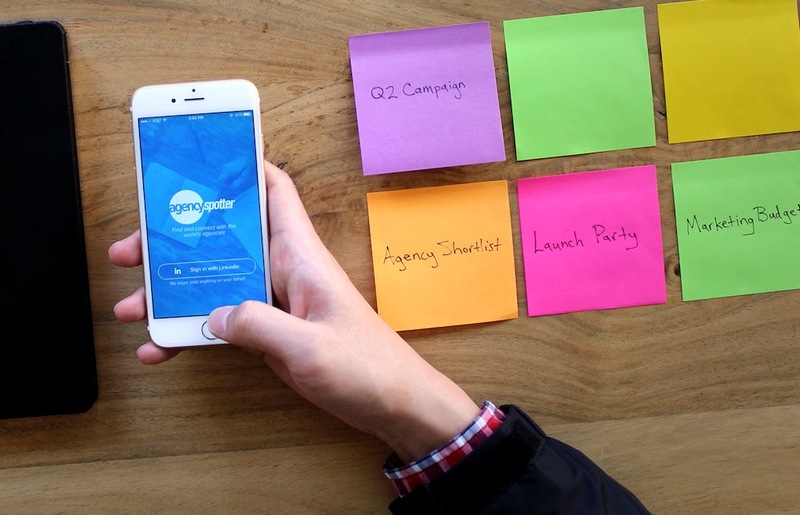 You can download the Agency Spotter: Agency Search App from The App Store now. Who’s searching for agencies and design firms? Try it now. Sign up is free and gives you access to client reviews, agency projects, list building features and more.